During one of the twentieth century’s most racially volatile eras, the late 1950s and early 1960s, Berry Gordy found success. With the launch of his Motown label, Gordy inked a big musical note onto Detroit’s map of fame. His journey to success was built not only on the iconic voices of his singers – some of whom were Jewish – but also because of the talents of many Jewish producers, advisors, agents and writers. Their invaluable contributions to this legendary icon of American music are the feature of this year’s Jewish Historical Society’s Journal, Michigan Jewish History, and also the subject of a lively lecture on Thursday, December 6, at the Berman Center for the Performing Arts. Presented by Jan Durecki, archivist with the Leo M. Franklin Archives at Temple Beth El, Motown Mensches Live! covers the trajectory of Gordy’s success. He often credited his rise to fame to the brilliance of his earliest record distributor, the Handleman Company, as well as to Al Abrams, Gordy’s first full-time employee who became the music firm’s public relations captain, and to his legal and accounting team of Harold and Sidney Noveck. Motown existed in an era world’s away from today’s music industry. 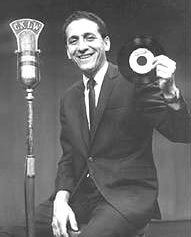 In the 1960s, musicians and music labels survived only if radio station disc jockeys chose to play their tunes. People like Paul Drew, the Windsor-based CKLW radio station’s program director, and Robin Seymour, a disc jockey with WKNR in Dearborn, are two of the many pivotal record-spinners Gordy credits with boosting the Motown label. 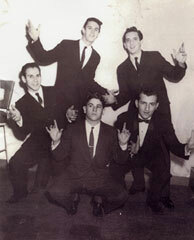 Durecki’s lecture also delves into some of the early Jewish songwriters and bands, including the Valadiers, the first all-white group signed by Motown. Stuart Avig, one of the original band members, continues to play in and around the Detroit area. Few have focused on this fascinating background of the Motown legacy. Durecki’s lecture, peppered with photographs and even a bit of music, will spark both musical and cultural memories for all who attend. Anyone remember Mickey Schorrs? Motown Mensches Live! is sponsored by the Jewish Historical Society and the Henry & Delia Meyers Library and Media Center. Tickets are $8 for JHSM and JCC members and $10 for others and include a Motown Musical afterglow. Tickets are available at www.theBerman.org. For more information, please call the Jewish Historical Society at 248-432-5517.